BLACK CAR WINDOW TINT FILM TINTING DARK SMOKE 20% 76cm x 3M 30X118"
BLACK WINDOW TINT FILM CAR VAN HOME TINTING DARK SMOKE 15% 76cm x 3M 30X118"
Conquerer squeegee & block squeegee with rubber blade, feel soft and smooth in film processing. 1 x water squeegee with rubber blade. 1 x yellow contour squeegee. 1 x conquerer squeegee with rubbler blade. 6m x 75cm 50% / 2 rolls x 3m /. Darken the car interior for clearer viewing of rear DVD screens. or "car window tinting". Tinting kit. Remove protective film from tint - stick tape on. Apply tint with sticky side to the window using water. Darken the car interior for clearer viewing of rear DVD screens. or "car window tinting". Tinting kit. Film rear windows in your vehicle to protect pets from sunlight. Remove protective film from tint - stick tape on. Read before you buy! --- If you see any creases from unrolling the roll, this WOULD NOT affect the item when you apply to your car! heat insulation: 12% VLT: 80%. Consider having your film tint applied by a professional installer if you have never applied film tint before. 1pc blue felt squeegee. 1 x magnetic micro squeegee. 1pc cutter. MIRROR SILVER 20% SOLAR REFLECTIVE WINDOW FILM ONE WAY PRIVACY TINT 50cm x 3m. 1 x ROLL 3m x 50cm ( 9'10" x 2'6 ). TRANSMISSION 80% DARKER TINT. -Tint rear windows in your vehicle to protect pets from sunlight. 6m x 75cm / 2 rolls x 3m /. or "car window tinting". Tinting kit. Remove protective film from tint - stick tape on. 85% SUPER DARK BLACK. Apply tint with sticky side to the window using water. Increase Comfort - The film reflects the sun's heat. TOP QUALITY WINDOW TINT FILM KIT. Peel film apart from backing on inside of window. Use two pieces of transparent tape to separate film from liner. Spray a light film of water on glass and film. Cut film pattern on outside of glass. Trim film with new sharp blade, leaving 1/16” gap around edges. Peel film apart from backing on inside of window. Use two pieces of transparent tape to separate film from liner. 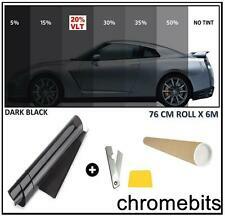 WINDOW TINT FILM KIT.5%. Limo Black 5% 6m 75cm window tint. 1% Light Transmission Ultra Limo Black 99% Ultra Violet Block 20% Infrared Rejected. 5% Light Transmission Limo Black 99% Ultra Violet Block 20% Infrared Rejected. Reduce glare - enhance driving safetySize: 6m x 75cmIn box: 1x Roll Windows tint. Trim film with new sharp blade, leaving 1/16” gap around edges. Peel film apart from backing on inside of window. Use two pieces of transparent tape to separate film from liner. • Super Dark Black/ DARK 5%. VLT: 70% (Visual Light Transmission). Size: Approx. 50cm x 100cm (Length width). 1 x VLT Window Film. 90% Anti-UV, no harm for human body, avoid floor,furniture,curtain ageing and faded. This no-glue(no adhesive) window film by the electrostatic to stickers on the glass,it is easy to stick on and tear down. HarmfulUV rays from the sun can cause skin cancer. Tinting your car can block99% of these damaging rays. Tinting protects your privacy and contents within a car. What aburglar can't see, he won't steal. VLT%: 35 % VLT. Anti glare, anti-fading and anti scratch, durable and practical. 1 Car Window Film. Ideal for increasing personal privacy and can block up to 80% of visible light into vehicles. Can block UV rays up to 99%. 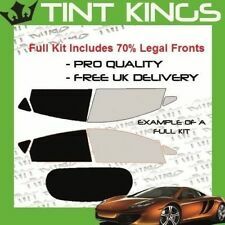 TOP QUALITY WINDOW TINT FILM KIT. Trim film with new sharp blade, leaving 1/16” gap around edges. Peel film apart from backing on inside of window. Use two pieces of transparent tape to separate film from liner. However, film tinting is not permanent and it will need to be replaced every five years or so to prevent cracking, peeling, and bubbling. Read before you buy! --- If you see any creases from unrolling the roll, this WOULD NOT affect the item when you apply to your car! 2x TOP QUALITY WINDOW TINT FILM KIT. Trim film with new sharp blade, leaving 1/16” gap around edges. Spray a light film of water on glass and film. Peel film apart from backing on inside of window. Use two pieces of transparent tape to separate film from liner. COMPLETE CAR WINDOW TINT FITTING KIT. Kit includes Ideal for use with one of our pre cut window tint kits. 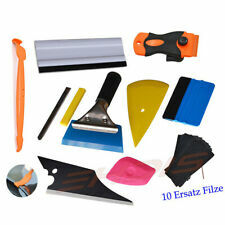 - 6" Rubber Edge Squeegee - this tool can be used to remove water solution from behind window film once installed. 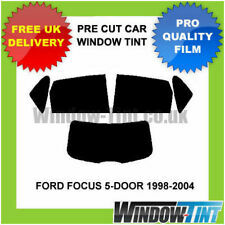 This Sun Visor Film allows you to add a tint layer to the top of your windscreen in an easy way. This Film arrives pre-rolled and consists of 20 x 150cm of Black Film. SUN VISOR FILM 20 X 150cm. Once applied your car will have a stylish Sun Visor Tint that makes for a more comfortable drivving experience especially during sunny conditions. SUN VISOR WINDOW TINT FILM KIT. Peel film apart from backing on inside of window. Use two pieces of transparent tape to separate film from liner. Trim film with new sharp blade, leaving 1/16” gap around edges. 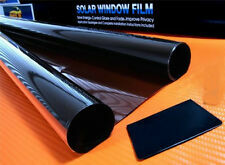 Car Window Tint Ultra Dark Black Film 300x50cm . Style up your car with the privacy window tint. This All Ride black solar window film reduces heat and glare from the sun and blocks out UV rays. Size: 20CM x 150CM. 1x car windscreen sun protection film. If you see any creases from unrolling the roll, this WOULD NOT affect the item when you apply to your car! Car Shift Knob & Boots. Bike & Motorcycle Parts. 1 x ROLL 3m x 75cm. -Tint rear windows in your vehicle to protect pets from sunlight. ULTRA LIGHT BLACK 70% LIGHT TRANSMISSION 30% DARKER TINT. SUPER DARK BLACK5% LIGHT TRANSMISSION95% DARKER TINT. DARK BLACK15% LIGHT TRANSMISSION85% DARKER TINT. 6m x 75cm / 2 rolls x 3m /. Darken the car interior for clearer viewing of rear DVD screens. or "car window tinting". Tinting kit. Film rear windows in your vehicle to protect pets from sunlight. 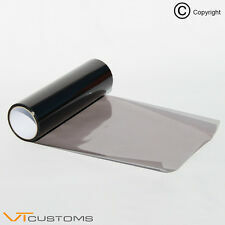 Remove protective film from tint - stick tape on. VLT%: 35 % VLT. Can block UV rays up to 99%. Anti glare, anti-fading and anti scratch, durable and practical. 1 Car Window Film. Solar Protection: 99% UV Rejection. Ideal for increasing personal privacy and can block up to 80% of visible light into vehicles. 1 x ROLL 6m x 76cm ( 19'8" x 2'6 ). -Darken the car interior for clearer viewing of rear DVD screens. 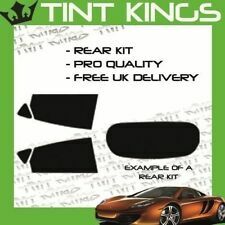 WINDOW TINTING FILM FOR CARS, BOATS & BULDINGS USE WITH KIT. ULTRA LIMO BLACK 1% LIGHT TRANSMISSION / 99% Ultra Violet Block / 20% Infrared Rejected. Film Tint Shade 99% Ultra Violet Block. We specialize in car parts. Ultra Light. Protects Interior Light Transmission. Peel film apart from backing on inside of window. Use two pieces of transparent tape to separate film from liner. TOP QUALITY WINDOW TINT FILM KIT. Spray a light film of water on glass and film. BLACK FADE TO CLEAR. Product: Window Tint Conqueror Tool with rubber blade. This tool is made of PP plastic, with characteristics such as heat resisting, wear resistant, and not easy to break and so on. It can really be your good helper! Suits for any headlights, fog lights, side marker lights or even top part of the windshield. protects headlights from darkening and aging. Color: TRANSPARENT. Material: Vinyl film. Simply clean the surface and apply this high quality vinyl sheet to anything smooth surface and cut off the edge. 1 x Window Tint Film. We will try our best to reduce the risk of the custom duties. Detail Image. 1 Roll of Windows Tint Film. 3, Remove protective film from tint - stick tape on both sides of corner and pull. 4, Apply tint with sticky side to the window using water. Explosion-proof scratch-resistant, broken glass will be stuck on the film. It is made of a tear resistant fabric that ensures this product is long lasting. These Roller Blinds fit most windows and provide full visibility. Pair of Roller Blinds is a neat sun shade that sticks right to your windows helping keep your car cool. 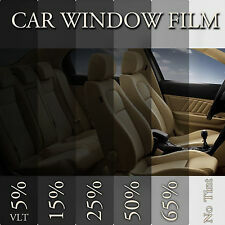 Black Glass Window Tint Shade Film VLT 50% Auto Car House Roll 50cm*1M Cool ! 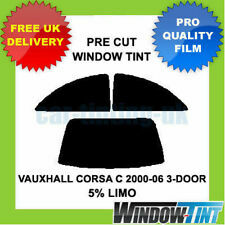 50cm 1M Black Glass Window Tint Film And Shade Roll VLT 5% Auto Car House. 50cm 1M Black Glass Window Tint Film And Shade Roll VLT 35% Auto Car House. 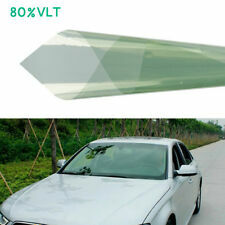 50cm 1M Black Glass Window Tint Film And Shade Roll VLT 70% Auto Car House. 2 x ROLL 3m x 75cm ( 9'10" x 2'6 ). -Darken the car interior for clearer viewing of rear DVD screens. 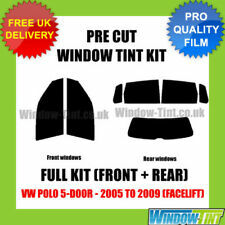 WINDOW TINTING FILM FOR CARS, BOATS & BULDINGS USE WITH KIT. LIGHT TRANSMISSION 85% DARKER TINT. -Tint rear windows in your vehicle to protect pets from sunlight.